Oh no not another referendum I hear you cry. Well this one is different because there aren’t really two sides to this referendum. 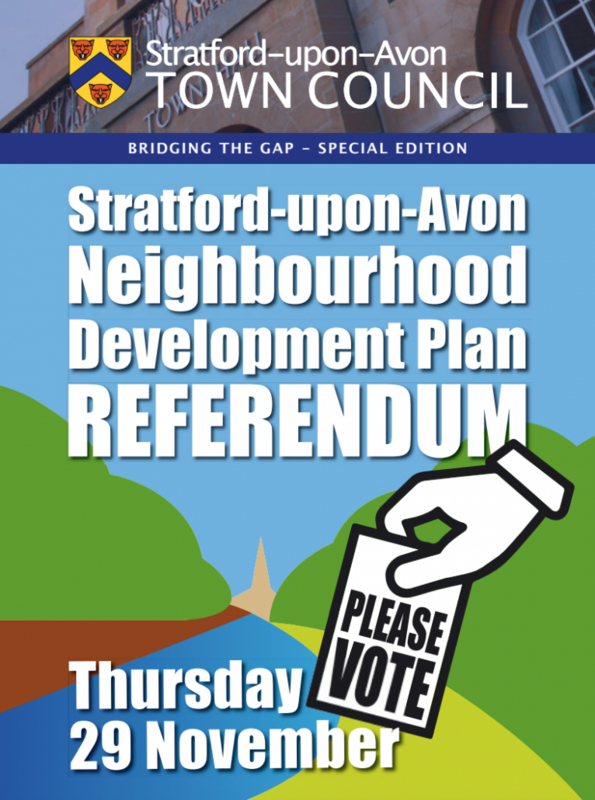 You’re being asked to vote quite simply if you want the town to have a development plan. I would question why the town hasn’t always had one but perhaps that’s for another day. So you can vote yes or no. I’ve yet to meet a single person who wouldn’t want a town plan and for the life of me can’t think why you wouldn’t want one in place. The council will have to take the plan in to account when considering planning applications. New developments will be required to pay a levy which goes directly to the town to be spent on the local community. Safeguards the town against inappropriate development. It means infrastructure is planned rather than developer-led. It protects the unique character of the Town including historic buildings and green spaces, the latter is something that followers of this site will know is high on our agenda. There’s a dedicated website here which has a lot more information. The important thing is to get out on 29th and vote. We know from experience that if we as locals don’t engage and get in involved then this is how we lose control of our town. Put 29th in your diary and take 5 mins out of your day to vote.